Length: 167. Image shows assembled and painted kit. 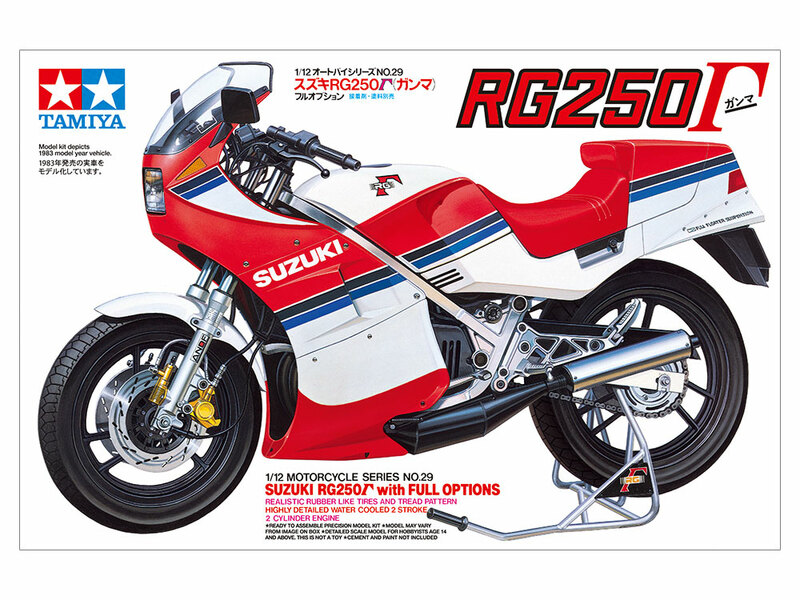 With its racing bike looks, the RG250 Γ (Gamma) was an instant hit with the public upon its March 1983. This model recreates the motorcycle in detailed 1/12 scale, from the 45hp 2-stroke 2-cylinder engine to the racing frame and Suzuki's unique Full Floater rear setup. Undercowl and single seat cowls are separate parts. Modelers can choose to assemble the kit as a half-cowl/tandem seat or full-cowl/single seat model. Vinyl tubing recreates the various cables and lines, for a realistic finish. Gamma stand is included. ★Length: 167mm, width: 57mm, height: 99mm. 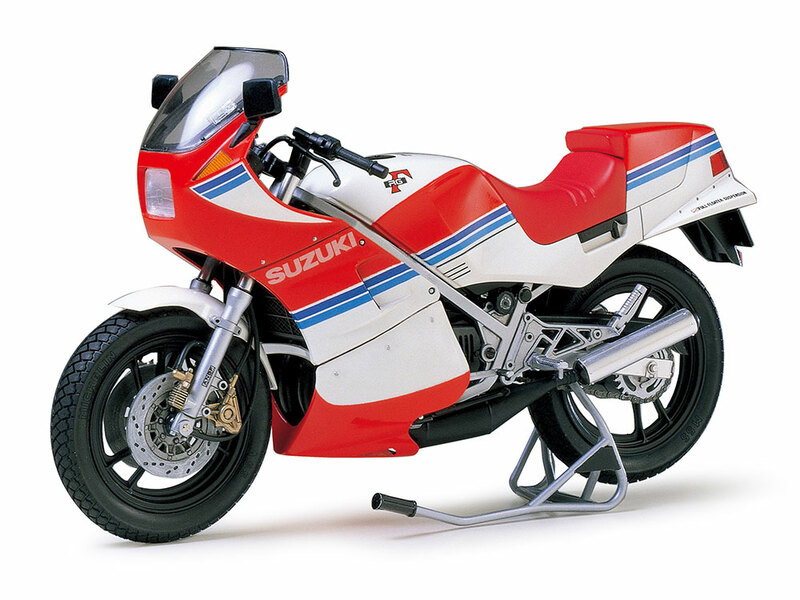 ★This model originally went on sale in Japan in December 1983. Information is correct as of August 10, 2018. Specifications are subject to change without notice.